Robert Browning was born on May 7, 1812, in Camberwell, England. His mother was an accomplished pianist and a devout evangelical Christian. His father worked as a bank clerk and was also an artist, scholar, antiquarian, and collector of books and pictures. His rare book collection of more than 6,000 volumes included works in Greek, Hebrew, Latin, French, Italian, and Spanish. Much of Browning’s education came from his well-read father. It is believed that he was already proficient at reading and writing by the age of five. A bright and anxious student, Browning learned Latin, Greek, and French by the time he was 14. From 14 to 16, he was educated at home, attended to by various tutors in music, drawing, dancing, and horsemanship. At the age of 12, he wrote a volume of Byronic verse entitled Incondita, which his parents attempted, unsuccessfully, to have published. In 1825, a cousin gave Browning a collection of Shelley’s poetry; Browning was so taken with the book that he asked for the rest of Shelley’s works for his 13th birthday, and declared himself a vegetarian and an atheist in emulation of the poet. Despite this early passion, he apparently wrote no poems between the ages of 13 and 20. In 1828, Browning enrolled at the University of London, but he soon left, anxious to read and learn at his own pace. The random nature of his education later surfaced in his writing, leading to criticism of his poems’ obscurities. In 1833, Browning anonymously published his first major published work, Pauline, and in 1840 he published Sordello, which was widely regarded as a failure. He also tried his hand at drama, but his plays, including Strafford, which ran for five nights in 1837, and the Bells and Pomegranates series, were for the most part unsuccessful. Nevertheless, the techniques he developed through his dramatic monologues—especially his use of diction, rhythm, and symbol—are regarded as his most important contribution to poetry, influencing such major poets of the twentieth century as Ezra Pound, T.S. Eliot, and Robert Frost. After reading Elizabeth Barrett’s Poems (1844) and corresponding with her for a few months, Browning met her in 1845. They were married in 1846, against the wishes of Barrett’s father. The couple moved to Pisa and then Florence, where they continued to write. They had a son, Robert “Pen” Browning, in 1849, the same year Browning’s Collected Poems was published. Elizabeth inspired Robert’s collection of poems Men and Women (1855), which he dedicated to her. Now regarded as one of Browning’s best works, the book was received with little notice at the time; its author was then primarily known as Elizabeth Barrett’s husband. Elizabeth Barrett Browning died in 1861, and Robert and Pen Browning moved to London soon after. Browning went on to publish Dramatis Personae (1863), and The Ring and the Book (1868). The latter, based on a 17th century Italian murder trial, received wide critical acclaim, finally earning Browning renown and respect in the twilight of his career. The Browning Society was founded while he still lived, in 1881, and he was awarded honorary degrees by Oxford University in 1882 and the University of Edinburgh in 1884. 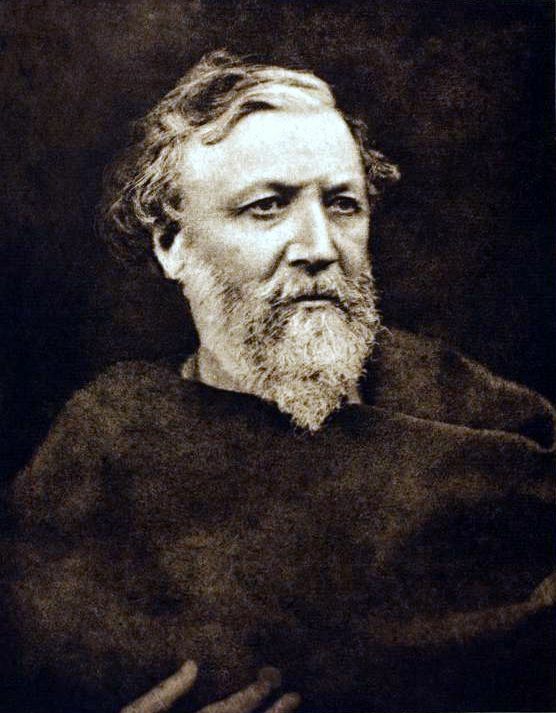 Robert Browning died on the same day that his final volume of verse, Asolando, was published, in 1889.